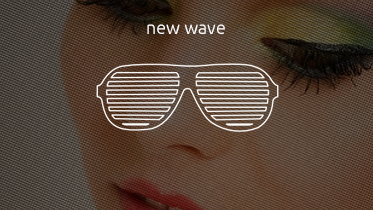 New wave is a genre of rock music popular from the late 1970s to the mid-1980s with ties to 1970s punk-rock. It moved away from smooth blues and rock and roll sounds to create pop music that incorporated electronic and experimental music, mod and disco. Initially, new wave was similar to punk-rock, before becoming a distinct genre. It subsequently engendered subgenres and fusions, including synthpop, college-rock and gothic-rock.